It's already started on social media, the signs that say "only 16 Fridays till Christmas! ", and for dedicated consumers such as myself, my heart skips a beat . Whilst many of you shake your heads and sigh, the reality is that Christmas is not that far away and so it is important to ensure your website and/or e-commerce site is running at optimal efficiency to cope with and capitalise on, increased volumes with my helpful web tips. Without Stock your e-commerce store is dead in the water. It is essential to know what items you will have in stock, and if you think an item will sell well - consider setting up a pre-order service. This helps you in evaluating how in demand you think a product may be. Make sure your delivery information and cut off dates are included and up to date on your site. If you are aiming to promote business and traffic - free delivery for customers has had proven success rates. Including such functionality as zoom options, colour options, product videos or cross sell/associated products, all boosts customer confidence and enhances their online shopping experience. Your homepage is your shop window and needs to create confidence, quality and entice your potential customer. It is integral to keep your customer on your site and make them feel at ease with the online shopping experience. Descriptions and images of products must be up to date. Customers want easy to navigate pages that can get you from the product image and description to the checkout in as few clicks as possible. These first impressions are paramount and serve as the basis of compelling visitors to stay on your website for a longer time - allowing them to peruse your services and/or products. It is important that when a customer decides to go ahead with their online purchase that the signing up process be seamless and easy to complete, allowing visitors to buy the products and pay for them without hassle and with secure payment procedures. Online shopping reports have shown that customer frustration occurs when information goes missing at the checkout due to poor programming or a bug on the page. Quality for the customer must be seen not only in the product you are selling but also in the secure, hassle free purchase of that product. Now is the time to build the hype. Social media, email campaigns and newsletters have all proven to be successful in promoting specific items as well as overall brand awareness. Adding links to your special offers and promos on Twitter, Facebook and Google lets people know what you have for sale and reminds them of the ease of online shopping. Building a strong social media presence promotes your business to not only friends and family, but also by them liking your page or status, others can see what your friends and family like and so the publicity grows! What about using promotional codes to entice a customer to make a purchase? And email campaigns that are segmented into gender, age and interest to your target consumers have also had proven success. It's important to look at how you can bolster your marketing strategies. SEO, link building, content marketing, social media promotions such as free shipping, discounts, buy one get one free all help promote your product and brand. You want to consider all aspects of marketing your online store to get your name out there and generate demand for your business. E-Commerce websites require constant attention and detail to make them successful in wide world of the Internet. Now is the time to work on these strategies with your ecommerce site. Many make the mistake and realise that their site needs work in late October - to mid-November. It's too late then as most IT companies are booked up till the end of the year and then you are missing out on potential income. Central Coast Web Design know best how to make your e-commerce site stand apart from the rest. It's important to remember that with any online store quality is seen not only in the product you are selling but also in the secure, hassle free purchase of that product. 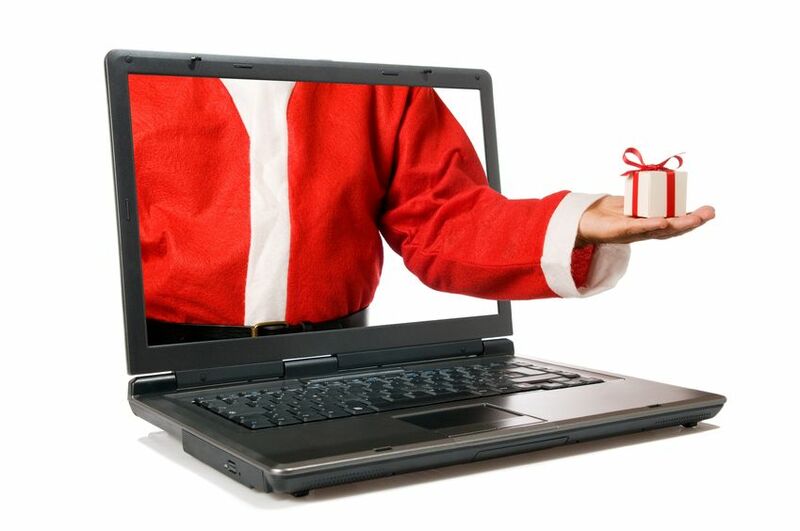 For help in making any of these web tips a viable part of your business success, email the team at Central Coast Web Design today for an obligation free discussion on how to enhance your website for the Christmas retail season.